Remember this stunning image? I used it a few weeks back in this gorgeous freebie! 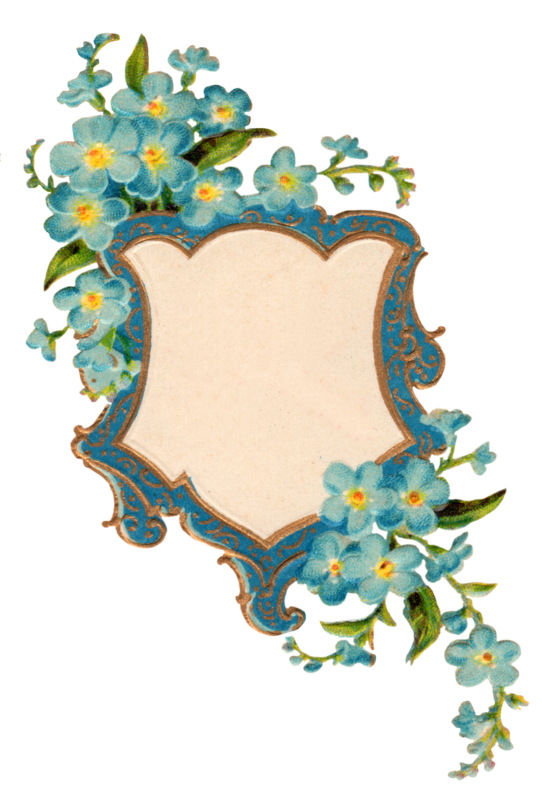 The pretty forget me nots are perfectly arranged around the ornate vintage blue and gold frame and though you might like it by itself so you could let your imagination go wild and create your own art with :)The possibilities are pretty much endless if you decided to add your own flowers to it for a more personal touch. Love these kind of freebies? Click here for more royalty free vintage clip art images! For regular “personal use” images, click here! To directly Download the forget me not image click Here! Our taste in images seem to be right on top of each other. That’s just what I would want! I like!